Because this represents my fourth review of 1978’s Superman, I’ll skip my usual film discussion. If you’d like to read my full thoughts on the movie, please click here. To summarize: Superman was a phenomenal hit in its day, and quite a few people remember it fondly. I’m one of them, and while I don’t enjoy it as much as I did when I was 11, I still find the film to provide a fun and stimulating experience. However, I will look at the different versions included in this package. 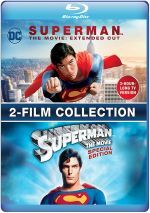 This Superman “Two-Film Collection” provides both the “Special Edition” edit that debuted in 2000 as well as an “Extended Cut” that ran on TV in the 1980s. The “SE” runs 2:31:25, while the “EC” goes for 3:08:34. Alas, this means the package drops the original 143-minute theatrical version. It came as part of the prior Blu-ray release but doesn’t pop up here, which seems like a shame. That’s especially true because I think the 1978 cut remains the best of the bunch. The SE version works well, though, so I’m fine with it, as its modest expansion of the tale doesn’t damage the movie. On the other hand, the more widespread additions to the EC do make Superman a less effective film. While it can handle the eight minutes added to the SE, the 45 minutes thrown into the EC slow down the narrative in a severe manner. Much of the added footage extends existing scenes, with an emphasis on the climax. We get a lot more from the earthquake/destruction sequence that acts as the movie’s big set piece – way too much, to be honest. The mayhem gets tedious. Only a handful of unique segments appear. For instance, we see the president golf in this cut – holy foreshadowing, Batman! – and find a couple of other minor new nuggets. These don’t really contribute anything. Honestly, I’d be hard-pressed to find anything here that stands out to me as memorable. As a curiosity, I’m happy I got to see the Extended Cut, but I doubt I’ll ever watch it again. It’s just too slow, plodding and redundant. 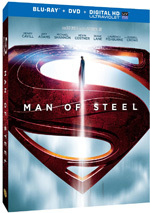 Superman appears in an aspect ratio of approximately 2.40:1 on this Blu-ray Disc. The Extended Cut gave us a mediocre presentation. Sharpness seemed adequate at best. Granted, the source photography often went with an intentionally soft look, but even when I took that into account, the image failed to deliver better than average delineation, so it tended to seem a bit mushy. I saw no issues with jagged edges or moiré effects, and edge haloes remained absent. For the most part, the movie remained clean, though I saw a little dirt at times, such as when I noticed grime at the top of the screen during the Army convoy. Expect increased levels of grain, though. While the Special Edition version showed appropriate grain, that element shot up dramatically at times, such as during the early scenes on Krypton. Other shots came across with less intrusive grain, but expect it to distract at times. Colors tended to be bland. Again, some of this came by design, but even so, the Extended Cut’s hues appeared less vibrant than expected. Blacks were adequate, with passable depth and darkness, and shadows seemed similar. Low-light shots gave us reasonable clarity and that was about it. In the end, the Extended Cut was perfectly watchable – and probably looked better than one would expect given its origins – but the image never became appealing. As for the Extended Cut’s DTS-HD MA 2.0 soundtrack, it also seemed mediocre – another fact that didn’t surprise me. This version existed as a TV presentation and wouldn’t have gotten the auditory effort that the theatrical edition received, so one wouldn’t expect big screen-caliber sound. The opening/closing credits offered true stereo material, but otherwise, the Extended Cut offered “broad mono”. This meant material spread to the sides in a moderate manner, but the mix never broadened in a way that meant real stereo delineation or presence. While this wasn’t a bad presentation, it seemed pointless. The “stereo” imaging never added anything distinctive, so why not just stay with the original monaural? Audio quality seemed dated but decent. Music was moderately peppy at best, with acceptable clarity but little real range. The same went for the effects, which tended to lack heft. Those elements could be a little rough and gave us mediocre reproduction of the source. Speech also appeared lackluster. While the lines remained intelligible, they tended to be a little dull and flat, and lip-synch could suffer, as dialogue and mouths didn’t always line up well. Once again, I didn’t expect much based on the source, and the track showed the anticipated drab quality. Of course, picture and audio fare much better for the Special Edition version, which also appears in this set. My notes on its quality can be found here. 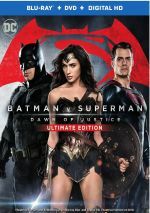 All the package’s extras appear on the SE disc, and that version includes an audio commentary from director Richard Donner and “creative consultant” Tom Mankiewicz. In fact, Mankiewicz did a rewrite of the script, but union issues prevented him from receiving credit as a writer.) The two were recorded together for this screen-specific track. Both Donner and Mankiewicz are audio commentary veterans, and their experience comes through during this track, as they seem comfortable with the format. As a result, we find a decent but not spectacular commentary. Neither man attempts to offer a real history of the film or the production, as the piece generally follows an anecdotal structure. The track tells us about the creation of the opening credits, various effects concerns, casting and working with the actors, cinematography, sets and locations, some story and script issues, various effects, and other filmmaking issues. After this we get three documentaries originally found in the 2001 DVD release, though the first two really are separate halves of one piece. Both hosted by Marc “Jimmy Olsen” McClure, Taking Flight: The Development of Superman lasts for 30 minutes, 14 seconds, while Making Superman: Filming the Legend goes for 30 minutes, 41 seconds. In addition to a couple of archival sound bites from Marlon Brando and production designer John Barry, we get modern interviews with Donner, Mankiewicz, actors Christopher Reeve, Margot Kidder, and Gene Hackman, editor Stuart Baird, casting director Lynn Stalmaster, composer John Williams, editor Stuart Baird, costume designer Yvonne Blake, optical supervisor Roy Field, and Warner Bros. Marketing president (1978-80) Andrew Fogelson. The first show looks at the movie’s pre-production, while the second examines the shoot itself. Although I don’t know why these weren’t combined into one program, I don’t really care, as the results are consistently compelling. I got a great look at the creation of the film, and the shows weren’t afraid to discuss controversial issues; we learn a fair amount about the reasons why Donner started to shoot Superman II but didn’t finish that flick. Ultimately, both shows were very entertaining and they gave me a nice examination of the movie. The other aspect I disliked was more of a questionable call. Midway through the first program, it takes a few minutes to discuss Reeve’s bravery in the face of his 1995 accident. Frankly, I thought this segment felt a little patronizing and was unnecessary. It’s not presented in a tacky manner, but I’d really rather see and hear from Reeve without any specific discussion of his condition. That would seem to me to have been a more respectful way to treat him. Nonetheless, I liked the first two documentaries, and the third worked well too. That one was more specific as it looked at the film’s special effects. The Magic Behind the Cape lasts for 23 minutes, 45 seconds, and while it’s narrated by McClure, it’s hosted by visual effects supervisor Roy Field. The show offers a nice look at the elements used to create the movie’s effects, and it also provides a fine primer about a variety of techniques; for example, Field leads us through a good demonstration of how rear projection photography is achieved. The program presents a great variety of footage from the set, so we get to actually see a lot of the bits as the technicians work through their challenges. It’s a solid little piece that provided a fun look at the effects process for a ground-breaking film. During the first documentary, we glimpse a few shots of various screen tests. Another area of the DVD offers more of these. In Screen Tests, we find three different sections. “Superman” devotes nine minutes and 20 seconds to shots of Reeve as he tries out both Supes and Kent. The second test footage shows a variety of actress as they try out for the role of Lois Lane. We see Kidder herself plus a slew of other notables: Anne Archer, Lesley Anne Warren, Debra Raffin, Stockard Channing and Susan Blakely all appear here. This 10-minute and 55-second section can be viewed with or without commentary from Stalmaster. Lastly, the third “Screen Test” segment takes two minutes and five seconds to examine the casting of minor villainess Ursa. The disc ends with a collection of cut footage. Only two of these are true deleted scenes, meaning they don’t show up in the Expanded Edition. Both of those repeat here under the banner Additional Scenes. They take place in Luthor’s underground lair, and they connect to each other as we learn or Lex’s “pets”. The first lasts two minutes, five seconds, while the second goes for one minute, 17 seconds. They’re vaguely fun but nothing memorable. The rest simply show the sequences placed into the Expanded Edition of the film. We get 10 Restored Scenes for a total of 11 minutes, 14 seconds of footage. We find “Jor-El and the Council” (3:21), “Security Council Meeting” (0:29), “Baby Kal-El’s Starship” (0:09), “Young Lois With Parents On Train” (0:18), “Mrs. Kent Opens Up House” (0:37), “Clark and Jimmy” (0:26), “Jor-El and Superman” (2:24), “Pedestrian and Clark” (0:30), “Fire and Ice” (2:43), and “Hollywood Sign Falls” (0:17). You’ll find nothing unique here, but it’s nice to have the added segments all in one place. Some audio material appears here as well. There are eight Additional Music Cues that fill a total of 35 minutes, 44 seconds. These snippets offer portions of the score that don’t actually show up in the film itself. Superman holds up well after almost 40 years and remains a class act. However, the more than three-hour Extended Cut becomes a slow, lackluster curiosity. The Extended Cut Blu-ray provides mediocre picture and audio but the presence of the Special Edition version adds value. I’m glad I got to see the Extended Cut but it doesn’t become a satisfying experience.